What if it was possible to document special business events throughout the year (picnics, concerts, presentations, yearly meeting, awards, testimonials, charitable events, donation drives, etc. ), and then make the video available to: employees, the company blog, newsletter, social media, associates, etc.? With today’s social and cloud-based marketing resources, it is! Using video is a great way to engage an audience, and it brings a dynamic tool for effective business strategy. 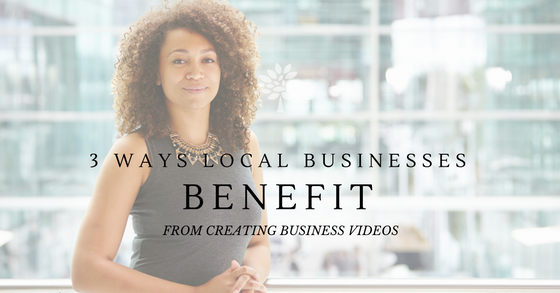 All businesses can use video for marketing purposes, yet many small businesses don’t take advantage of it as a resource. Developing a video presence — on YouTube, social media, your business website, forums, local Chamber of Commerce sites, trade shows, newsletters, etc. — is a powerful marketing tool for small and large businesses . 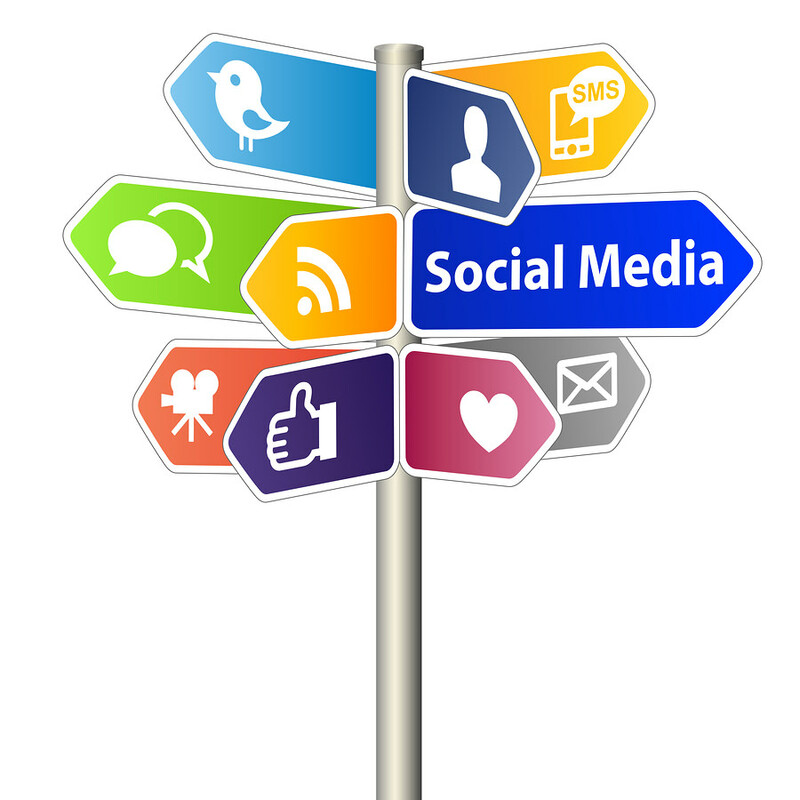 Fresh and timely content, spread around the online world, is a great tool to attract your target audience. For professional services: how-to videos and tutorials can be produced, including introductory videos for the business’s website, interviews with leading associates, or testimonials with satisfied clients. For businesses selling products: videos can be produced that highlight manufacturing, interview a product spokesman, relevant industry news, or new product spotlights. Advertising videos can also be put into the mix with local commercials spots created to air in rotations both on TV and the web. 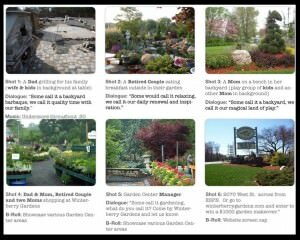 Step-by-step and how-to videos draw in potential customers and keep loyal customers satisfied. Video is often used as a tool for customer relationship management (CRM), in order to engage, connect, and satisfy a target audience. A company website is the central location for a local businesses online efforts. Managing customer relationships with video resources is a great way to provide free resources to customers and potential customers. Example of these types of videos include self-help/knowledge-base centers, testimonials, how-to’s, tutorials, news, articles, eBooks, white papers, links, buying guides –the list goes on. And it can be targeted to what your specific customers are looking for. A local HVAC company can provide a guide on the process of what it’s like for them to work in your house. Answering your customers questions and speaking to their interests will build trust and captures sales in the end. 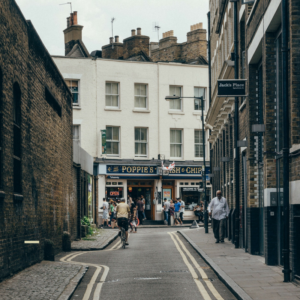 Effectively using video for general customer relationship management can give local small businesses a voice in the community and in the industry online. A video presence can bring brand solidification, customer referrals, and website growth; all attracting more customers into multiple sales funnels. Small businesses can use video in these three ways to effectively attract positive attention, build their brand online and in-store, and enhance their overall CRM strategy. Most business owners would agree that video helps, yet may think outsourcing video production as a costly endeavor. This is often not the case, and hiring a professional video and photo service is an affordable business expense. Their experience can also inform you on how to implement a video strategy. 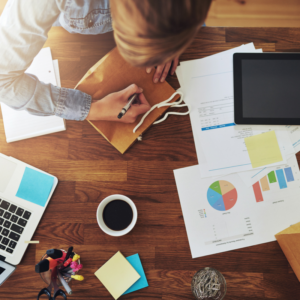 With limited resources, smaller businesses must be good at delegating aspects of their business process, just as they might engage accounting, insurance or IT professionals. Video production for advertising, marketing, events or CRM purposes can be outsourced on a project basis to a professional crew of experienced videographers, photographers, and creative storytellers. A service that has the equipment, experience, and expertise to create video and photos for any project. Miceli Productions has worked with many local businesses to produce video content in Connecticut and the New England region; in our production studio, on-location, or remotely. We’ve also worked across the U.S. and beyond traveling to various locations. With 14 years of industry experience, Miceli Productions has the expertise needed to create commercial quality videos for businesses, at a price they can afford. Please contact us to learn more. You may have heard: last month, the digital marketing community was outraged. That’s because the network admitted to using false metrics to determine the success of video ads on the platform, misleading countless advertisers. Predictably, given the amount of money marketers spend on Facebook video on daily basis, the announcement led to an outrage. But what actually happened, and what does that tell us about the importance of determining the ROI of your video? Ad buying agency Publicis Media was told by Facebook that the earlier counting method likely overestimated average time spent watching videos by between 60% and 80%, according to a late August letter Publicis Media sent to clients that was reviewed by The Wall Street Journal. Recognizing the impending scandal, Facebook took action. In a post on the network, David Fischer (Vice President of Business and Marketing Partnerships at Facebook) took responsibility, and vowed action to prevent similar issues from occurring in the future. Misleading major investors. Facebook advertising is kind of a big deal. In fact, in the first quarter of 2016 alone, advertising revenue on the platform amounted to more than $5 billion. An increasingly large portion of these ads is based on video. Wrong statistics definitively mislead Facebook’s major revenue drivers. Unreliable reporting. If the video metrics were wrong, what else is unreliable? Facebook advertisers depend on metrics like total reach, clicks, and conversions on reporting and evaluating the success of their efforts. A gaffe in just one of these KPIs calls into question other metrics, as well. Unearthing trust issues. 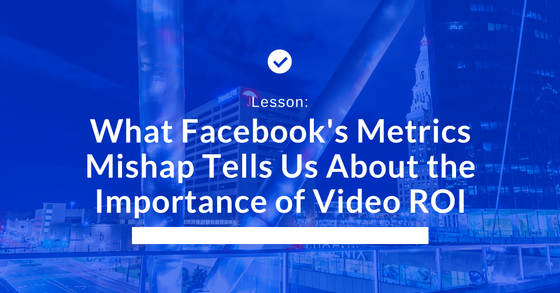 Facebook has spent significant resources in recent years to magnify videos on its platform. From autoplay to advanced video metrics, it has actively worked toward becoming the world’s largest video platform. A scandal like the above threatens to derail that trust, instead leading marketers to question how honest Facebook has been about other marketing-related issues. In short, Facebook’s admission of guilt on overestimating video views was a big deal. But if you read between the lines of both the incident and the following reactions, you begin to find a number of pointers that hint at the growing importance of video in digital marketing. One thing is certain: in the near future, Facebook will not be able to get away with a similar gaffe. The outpouring of upset and angry marketers was immediate. But this eruption also points to another, important point in digital and social media video: it’s become a crucial part of how marketers spread their message. Facebook didn’t begin embracing video a few years ago for fun. Instead, it recognized that as online users, we are moving more and more toward visuals in communicating and consuming content. In a way, then, the immediate backlash Facebook prompted just by admitting that its numbers were off is telling. It shows that marketers actually agree with the platform: video is becoming more important than almost any other type of digital and social media content. Nobody would have been upset if the metric would have affected a type of ad that consumers don’t care about. Facebook, of course, recognizes that fact as well. It announced a more comprehensive (and accurate) way for marketers to evaluate the success of their videos early this month. These revamped metrics make now a perfect time to jump on the video train, and increase exposure and awareness of your brand through Facebook video. To learn more about producing video that will help your brand succeed throughout the digital realm, contact us. Today’s modern technology is both a blessing and a curse for business owners and brand managers. The good news? New technology means a quicker video production process. It also means a chance to reach an increased potential customer base. 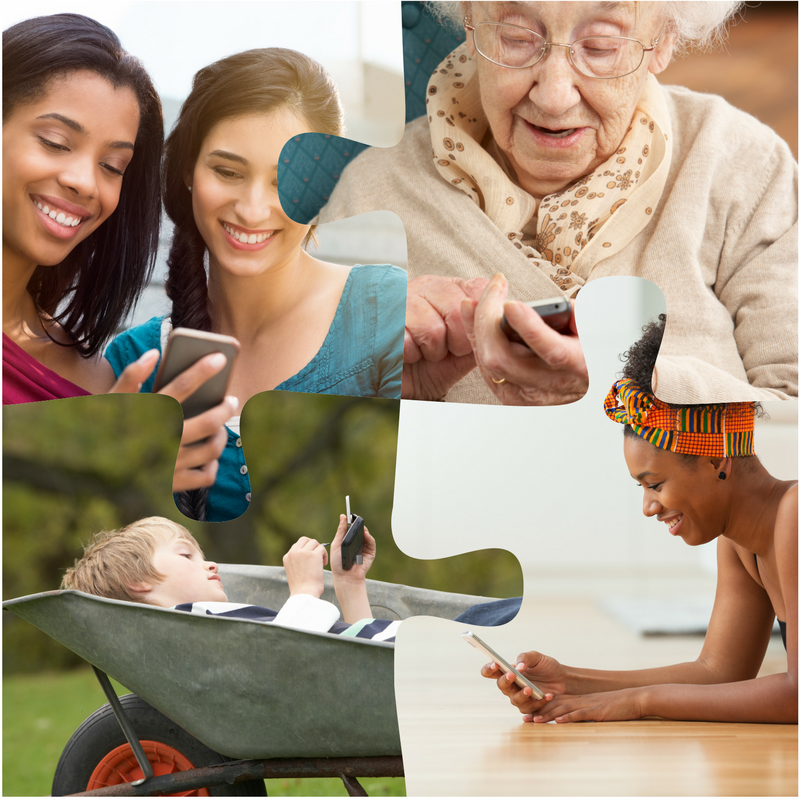 The bad news is that consumers have a shorter attention span than they did in the past. 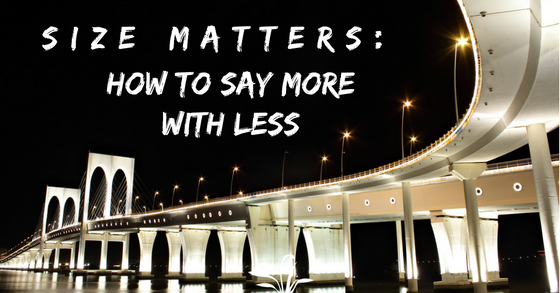 In order for businesses to succeed in this era, it’s important to remember size matters — you can say more with less. Use short video clips over text to help reach your audience. When there is a short window of time to catch someone’s attention, you’ll need a quick impact element. In order to make this impact in the traditional written format, writing a short message is a must. Writing for Twitter is a great exercise in how to write short and sweet. But now all the social platform easily incorporate video extremely well. So what’s even better? A short video production that transforms the same message into something visual and is easier to understand. When you compare the two formats — text and video — video definitely has the upper hand. You can share a visual message with customers, feed them the specific images you want them to see, and craft the piece so that is short and accessible. 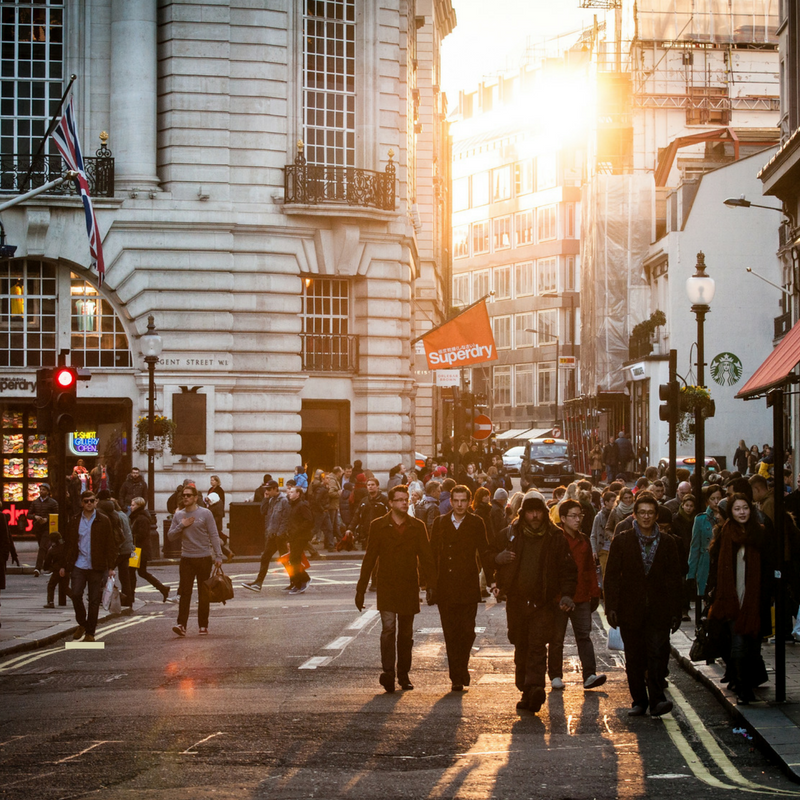 Beyond the quick impact, your message needs to have a lasting impact on consumers. Which in our over-saturated media culture, is an ever-increasing challenge. 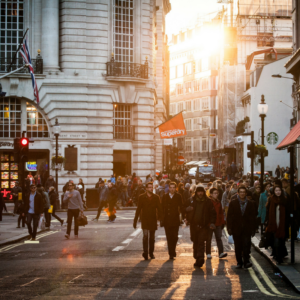 Business owners and brand managers need to ensure that their message rings true to their target customer and that it will resonate long after they see the spot. In a comparison of video and text this area is a little tighter. The use of text offers the consumer a chance to take the message with them; to think on that phrase, if you will. However, even the best-written campaigns that only rely on text can get easily lost. Lack of a visual element for a customer to quickly recall, might mean the brand is not associated with the correct product. (For example, if we said “Oh, what a feeling!” you might conjure up a car company commercial. But If I used the the visual of the individual jumping in the air AND the whole phrase”Oh, what a feeling! 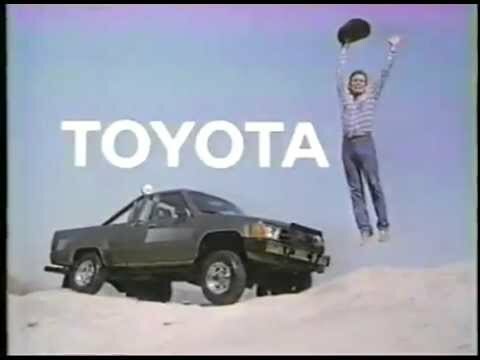 Toyota!” then you have a clean recollection of the brand’s advertising message.) Today’s society is visual, so capitalize on that fact — especially when promoting your company and products. In these situations, the benefit of video is short-term quick messaging that creates lasting impact. Oftentimes a consumer remembers a picture or clip of an item or company more than just the wording. (We remember those specific car commercials as “the Toyota commercials” because the short video element of the person jumping paired with the phrase gave us exactly what we needed to remember them.) Also note, a brand can also mix sound cues into the video to help the consumer easily remember them — a good example would be the Intel logo and brand sound, which we all know very well. Short single-message video clips combined seamlessly with music and text help sell your idea, brand or product. Remember, less is more! Go for creating a short, succinct message with a compelling visual element. Prior to creating a marketing campaign, business owners and brand managers need to think about where the video will air. Repeat visibly is key. Short videos are great for posting and sharing. Again, a text only message can easily gets lost in posting. But good or interesting video content is quickly shared. Consider that it’s easy to add text to social media. Now consider that we’ve now entered an era where using video is just as easy to add to virtually all social media platforms as text. So go with the added visual! When planning your visuals, always keep in mind the video length. 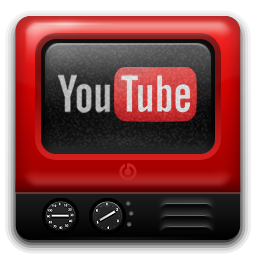 Some platforms such as YouTube allow users to create longer videos. This is ideal to introduce new products or services. But with waning attention spans, short, succinct promotional clips can work better for many social messages. In a head-to-head comparison, video once again rules. It creates a visual memory for consumers. And it’s also just as easy to post in a variety of locations across the internet to create a greater draw for your brand channels. A final element to consider is “going mobile”. Consumers are now constantly on the go. 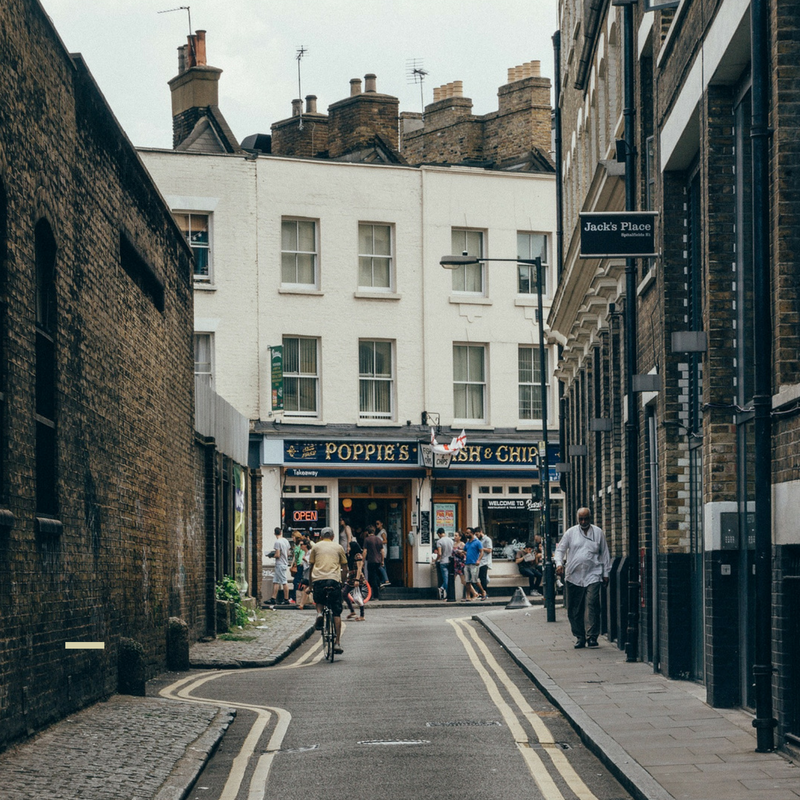 Mobile technology benefits the customer who shops on their commute or at lunch. However, it does get tricky when creating a marketing campaign. A video, on the other hand, is easy to see on any smart enabled mobile device. Again, less is more! Do not make mobile videos long, as often customers only have a short time to see the whole video. If adding text use links instead of a traditional font to make it more mobile-friendly. In this element, video wins easily because of its mobility. A short video is easier to see even if the consumer only has between subway stops to watch. Miceli Productions crafts the right videos for your specific need. Contact us today for more information about creating quick and lasting messages for your company. What’s a storyboard? We all remember the painstaking process in English class of creating an outline for our assigned theme paper. The teacher would not let us write a word until that outline was complete and perfect. Maybe we didn’t understand it at the time, but those teachers *knew* that without an outline, our writing would be unfocused and would never take us on the journey our writing was meant to follow. Storyboarding is the video production equivalent of those high school English class outlines, and a storyboard is just as important to your video production as it turns out your outline was to your theme paper. Storyboarding is the visual equivalent of the outline, as it lays out a sequence of visuals, script and music for your video. The storyboard is composed of a series of images, either drawings or still images, with notes and/or scripts below, all laid out in the order they will appear in the video. Disney animator Webb Smith is credited with creating the storyboard by drawing sketches for the sequence of a Disney animation and posting them on a bulletin board for the animation team to understand. Storyboarding ultimately is a collaborative effort between you and the video producer. If you have ideas about how you would like your video to appear before meeting with the producer, sketch them into a storyboard (you can create your own or find a template online). The producer will work off your storyboard, generating more ideas based off the producer’s experience. If you just a have general idea of what you want in the video, then the producer will sketch a storyboard during your meeting and refine it later. The storyboard will undergo numerous revisions during the planning stages before a final version is agreed upon before production begins. First, storyboarding is the best way to ensure you and your producer are on the same page. It provides a visual method for you to explain your vision to the producer, and for the producer to share her/his vision of the final product. Second, storyboarding guarantees nothing is left out. Many ideas can get tossed around during the planning process, but when they are recorded visually on the storyboard, they won’t be forgotten during the production and editing steps. Third, storyboarding meshes the visual and verbal parts of the video. The best time to determine if a piece of script is not going to make sense with certain visual images is during storyboarding. Or maybe you realize part of the script can be told better in a series of still images rather than video. Or maybe some graphic elements need to be created and inserted. Ultimately, it leads you to conclusions on how everything will fit together. Fourth, storyboarding ultimately saves time and money. With a solidly planned storyboard, the video producer doesn’t waste time capturing a lot of video content that doesn’t make it into the final product. This especially saves money if you are hiring professional actors as you limit their time on the clock or on larger sets where there is a large crew. Even if you are using your own staff, you limit their time on this project and get them back to their regular work. The editing process also will be shortened and more cost effective without the need to wade through excess video footage. How Do I Get Started on my Storyboard and Video? You’re off to a great start by understanding storyboarding. If you already have your vision for a video, sketch out your ideas into a storyboard. Watch other videos and see if you can envision the storyboard behind them. Get more ideas for you own. Then, contact us for an opening consultation on your video so we can share ideas and see how best to translate your vision into an outstanding video. 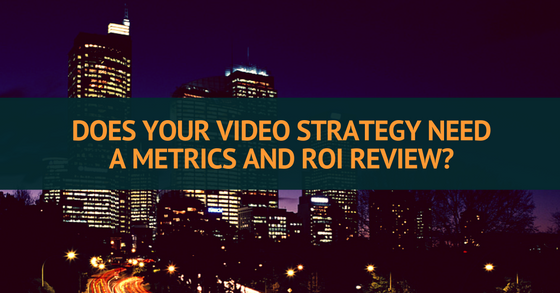 Does your video strategy need a metrics and ROI review? Companies that are following the video landscape this year know that Facebook is now giving considerable priority to video content. If you are paying attention, you know that this has not made YouTube irrelevant. These two channels anchor your video strategy — if not your whole content strategy — for most video outreach content. Now more than ever, companies should be reaching their clients and customers with video and learning from the metrics they track. Knowing what you want to do with video is a solid start. Are you creating content that captures potential customers searching for how-to videos on your product, services or area of expertise? Then pat yourself on the back for having vision and goals, my friend. But know that for many companies, maintaining video production output goals and evolving useful metrics into actionable feedback present more of a challenge. Use this self-assessment checklist to determine whether your approach is working for you. Have you updated the way you calculate ROI for your video outreach this year? Return-on-investment is not a “set-it-and-forget-it” metric. The change of emphasis at Facebook should make video production more valuable in general, but the efficacy of visual storytelling will vary depending on the quality of your videos as well as the intrinsic visual appeal of your business sector. There is NO substitute for paying attention to specific videos and poring over the analytics to estimate revenue generated by each one. If you make changes to your pricing or revenue streams, updating ROI calculations promptly will be key to understanding the costs of your video content program. Do you repurpose strong video content effectively? If you are producing longer-form video content and not pulling out short segments for use in new contexts, look into the opportunities repurposing can bring. If you add a video platform such as Facebook, Twitter, Instagram or Vine, consider excerpting some of your best previously produced work for presentation as tight little clips. Short clips can be a little bit challenging. Vine videos can’t exceed 6 seconds in running time. Twitter videos can be around 15 to 20 seconds. Embracing these tight video lengths pulls your marketing outreach into a focus that only brevity can compel. You may find that the process of editing down excerpts helps you create shorter “long” videos, too. Shorter, tighter video means less abandonment by your watchers. Transcribing those segments gives you even more flexibility in upcycling strong moments from your video library to some platforms. Are you paying attention to the correct metrics? The simple metrics built into the major platforms are the first place to look, of course. YouTube and its parent company, Google, have been leaders in analytics for decades now. By all means, check weekly or more often to see whether your video posts show up listed in your Top Tweets. On Facebook, start by sorting “Insights by Post Type” to compare the reach and engagement of your videos with the other types of content you post. Simple indications of interest come first. There are a variety of ways to measure the success of a specific video. You’ll gain useful insights by tracking view counts, watch-time, shares, and comments. Noticing engagement — what interests your followers — provides crucial insights, but you will need more insights to understand the ROI of your video marketing. Track intermediate steps such as lead generation as well as revenue. You must follow the money on a granular level to determine whether your video initiatives are worth the investment. Make sure to include calls to action in your videos, drawing watchers to your website for more information. Well-crafted calls to action can be tracked and carefully honed over time to improve ROI. Link tags called UTM parameters allow links you provide near your videos to be tracked specifically in Google Analytics. 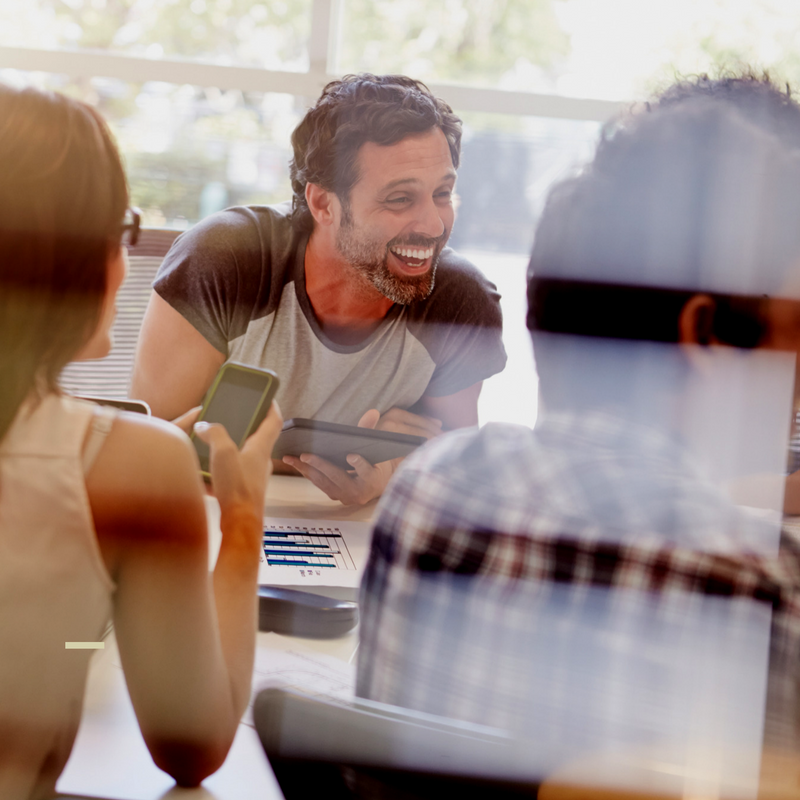 Some video platforms provide the ability to incorporate the act of email capture into launching a video player, and may improve the granularity of feedback you see. Do you know what actually works for video virality these days? Video that went viral two years ago might not take off today. Keeping aware of what’s hot can inform your aesthetic, if your own video content tends to be trendy. Even if your video content is paced to be educational or is markedly niche in subject matter, watching top trends can provide inspiration. In addition, the methods for tying viral videos to revenue streams are evolving, too. This piece about a viral video master on Facebook may inspire you to align your video program with an email subscription signup, for example. Build Facebook trends into your video strategy. Watch for trends among your followers. Take the newest meme and post a Facebook video that plays with the concept. Include trending hashtags to attract views from those who are watching the relevant trends. We’re a Photo and Video boutique creating commercial images for branding. We have been working with video strategy for 14 years. We used to be just edgy. Now we’re edgy and wise. When you contact us, we’ll discuss your current strategy with you to see whether we can improve your video ROI.